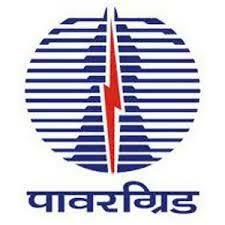 POWERGRID, a Navratna PSC invites applications from experienced Professionals for recruitment of Deputy Manager, Senior Engineer and Assistant in Electrical Discipline. The online registration open from 22nd November 2017 and close on 21st December 2017. Deputy Manager (Electrical) -> B.E/ B.Tech/ B.Sc.(Engg.) in Electrical Discipline from recognized Institutes/ University with 60% marks or equivalent CGPA. Should have a post qualification executive experience of 9 years in executive/ gazetted officer cadre. Senior Engineer (Electrical) -> B.E/ B.Tech/ B.Sc.(Engg.) in Electrical Discipline from recognized Institutes/ University with 60% marks or equivalent CGPA. Should have 06 years post qualification experience in Executive/ Gazetted officer cadre. Assistant Engineer (Electrical) -> B.E/ B.Tech/ B.Sc.(Engg.) in Electrical Discipline from recognized Institutes/ University with 60% marks or equivalent CGPA. Should have a post qualification executive experience of 01 year in the executive/ gazetted officer cadre. How to Apply: Interested eligible candidates should apply online only. The online registration will be available at Power Grid India Website. The Online registration close on 21/12/2017 up to 23:59 Hours. For any queries email to recruitment@powergrid.co.in.